Everything we needed was there and we were able to have a stress free getaway. Rachel was very quick to respond to emails prior and after we booked the home . Bonnie came out to the house to check on a problem with the TVs and to bring beach towels. We were impressed by both of them. We didn't want to leave. The area is so quiet and beautiful. It was a wonderful week away from everyday stress. This property is beautiful and clean. An excellent option if you dont want to stay in an everyday basic hotel. The only thing to consider is because your renting from a private person, not Hawks Cay itself, you dont have access to all the resort amentities. We have had minimal interaction with any staff. Dont get me wrong that is a great thing. Rachel has been very informative and helpful. When we got to the rental we walked right in and our vacation started. There were no lines to check in we did not have to go to an office somewhere and get a key Rachel gave us fantastic directions and instructions. She called to make sure everything was perfect and it was. The gift basket that was on the counter when we arrived was fantastic. With all of the goodies in it, it probably saved us $50 and a trip to the store. It had dish soap, hand soap, laundry detergent Snacks and toiletries! The only complaint that we have is that the master bedroom mattress is very uncomfortable. I almost got up last night and went to the couch. Both of our backs and necks hurt this morning again. We are going to try to flip the mattress Tonight and see if that helps. Nicer then expected. The welcome basket was very nice. Filled with essentials not frivolous items. Bonnie, Rachel and John were very attentive to all our needs. We really appreciate everything they did for our stay. Keep up the great work! This was our third year at Fins to the Left and it was amazing. We are so grateful that Cabana Club access was added; it was over the top. We lucked out on perfect weather and fished the Marathon humps 3 times where we caught a 33-pound black fin tuna. It was the best trip ever! We are definitely coming back here next year! We enjoyed our stay! The only thing that would have made it better is a privet pool in the backyard to jump in after a day on the boat! House was nicely updated & very comfortable for our family. Kids loved to fish from the dock & watch the sea life swim by! Communication was easy & attended to maintenance issue quickly! House was as described & everything was new. Was missing a DVD player for the kids videos we brought but with all the activities, cable. & Wifi it was not needed. Only thing that would improve on n this house is a private pool to cool off after boating! We enjoyed our stay very much! Everyone I dealt with was very friendly and helpful. We were very happy with the whole experience. We loved our time at Southern Comfort. We will be staying again. The house was decorated beautifully and was very clean! The location was perfect for us. The screened in porch was perfect for storing all our boating and fishing equipment. Cant wait to return! We loved our time at Southern Comfort. We will definitely be staying again. The house was decorated beautifully and was very clean! The location was perfect for us. The screened in porch was perfect for storing all our boating and fishing equipment. Cant wait to return! The Lazy Tortuga was perfect for us! The location is fantastic for boating, fishing, snorkeling, shopping, dining, and land excursions. 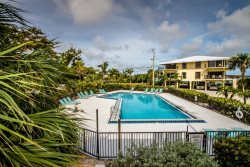 Key Colony is quiet and relaxed pace, but ideally situated for a day trip to Key West or Islamorada. We loved the decor, comfortable furniture, well-appointed kitchen, and the outdoor space.